Have you ever considered writing a serialized novel? "A Modern-Day Look at 'The Hound of the Baskervilles'" by Kathy Owen. As some of you may remember, I've played with the idea of writing a serial (I've put a collection of links at the end of this article) wondering if it might help a writer become discovered, especially if they took advantage of Amazon's Select publishing program. Well. If you've ever wondered about the feasability--or profitability--of writing and publishing a serialized novel, I recommend Chute's articles. He gives a well thought out, well explained, list of pros and cons in addition to throwing in many helpful tips. - Chute advises writers to publish the entire season of episodes and then release a new episode every week. - Chute kept each episode to between 15,000 and 25,000 words. - Chute sold each episode for 99 cents. - End each episode on a cliffhanger. This way not only will readers be motivated to buy the next installment, they will be motivated to save money by purchasing the season bundle for $3.99 (or whatever you decide to charge). - Since you are releasing different episode each week your volumes will have a better than average chance of being featured on Amazon's the 'also-bought' lists. - Some readers hate serials. And, yes, I do mean hate. Even if they read and enjoy a serial they won't feel it was a good value for their money and will rate the book accordingly. - You make less selling every episode for 99 cents than you do off the bundle. For example, if a reader bought 5 episodes for 99 cents she would have spent $4.95 from which you would make 35% or $1.73. On the other hand, if she had spent $3.99 on the season bundle you would make 70% or $2.79. -Your Amazon Sales Page can looked cluttered after you've released a few season's worth of episodes. Chute feels that serialization helped get his series--and him--discovered. Even though Chute lost some money on the 99 cent episodes, he feels that the exposure was worth it. 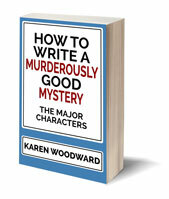 - To help you get to know your readership and, possibly, increase reader involvement, have each season contain a secret. The first three people to guess the secret get a character named after them next season. - An amazing cover sells books. Chute recommends his cover artist Kit Foster over at KitFosterDesign.com. - Think about using BookBub for marketing. You might also take a look at The Fussy Librarian. Here's an article that compares the merits of various marketing sites: BookBub vs BookGorilla vs The Fussy Librarian – Which is the best ebook marketing service? - Enroll your books in Amazon's Select program. - Chute advises authors not to bother with expensive book videos, they aren't worth the investment. That said, if you want to experiment, Fiverr.com can be an inexpensive way to do so. - Chute has found that video book reviews are very effective in selling books. "Doyle was master of the cliff-hanger. He knew how to break up the segments to keep the readers hooked. The first magazine installment, for example, ends with Watson’s sleep being disturbed by: 'the sob of a woman, the muffled, strangling gasp of one who is torn by uncontrollable sorrow.' Other cliff-hangers involve a dead body, a stealthy stranger, and mysterious noises in the night." In order to avoid using huge information dumps to get in needed backstory, ones that involve long flashbacks or narrative passages "Doyle used different narrative voices: those of the client, a 17th century manuscript, Watson, and Holmes, who later relays his own account of the time when he and Watson are working the case separately." Here's a video--it's really more of a podcast--I've put together based on the information in this article. It's basically just this article in audio form. 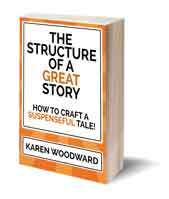 - Serial Fiction: Is It Profitable? 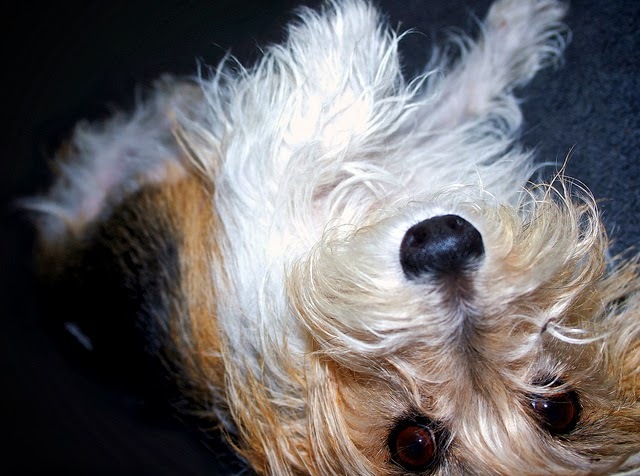 Photo credit: "Upside Down Jack Russell" by A Guy Taking Pictures under Creative Commons Attribution 2.0. Interesting - I've wondered what the benefits of it were since some of my blogger and other writer friends have either turned to this or are considering it. Good info!